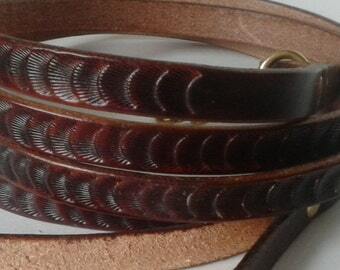 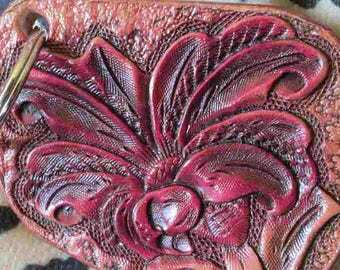 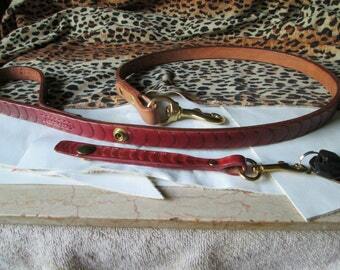 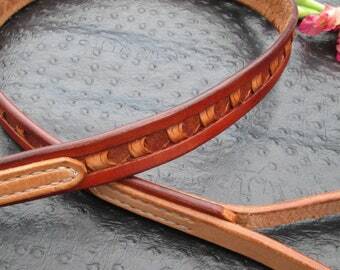 Dog leash or lead is custom handmade, hand tooled and stamped. 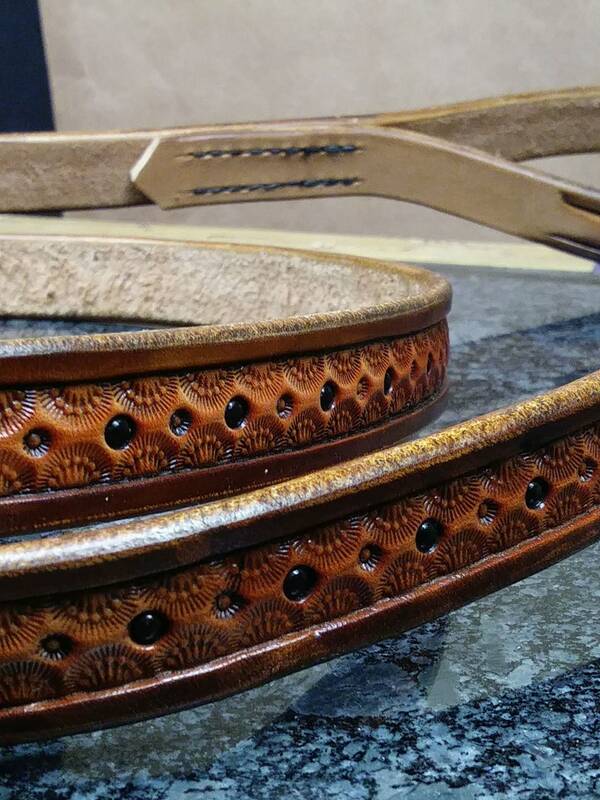 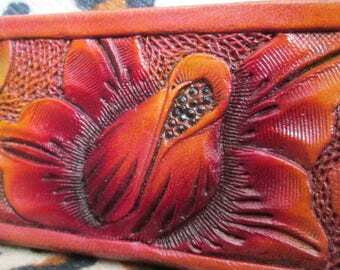 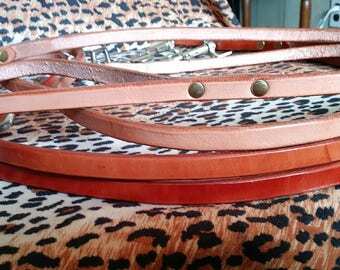 It's made from 12 oz saddle skirting leather which will handle very large dogs, tooled, oiled,, edges beveled then dyed brown, saddle tan center, and black dots. 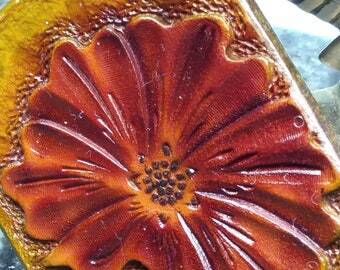 Then edges burnished in it's entirety and top coat finished. 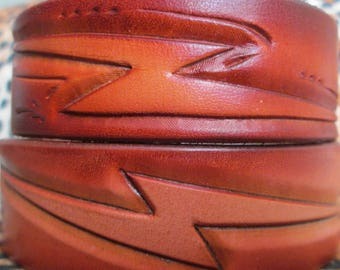 Next all the tooling is highlighted to add further depth on this handsome piece. 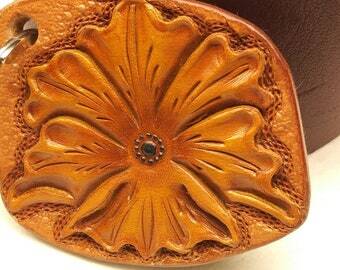 It measures 1" wide by 88" in length including heavy duty solid brass snap hook. 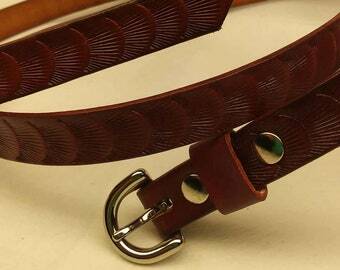 The handle loop and solid heavy duty brass snap is hand stitched with black polyester wounded cord. 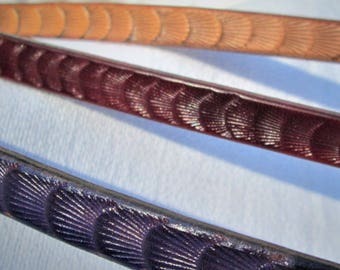 It's superior strength is also fade resistant.